Home > Why list with Alain Pinel Realtors? Why list with Alain Pinel Realtors? Linda Granger chose to affiliate with Alain Pinel Realtors in 2012 because it is the most powerful realty network in California, and is a member of LeadingRE, the largest global network of residential realtors. Alain Pinel is the #1 residential brokerage in California by closed sales volume, and has 32 offices and 1400 agents throughout the state who can, and do, refer qualified buyers directly to our Tahoe City office. 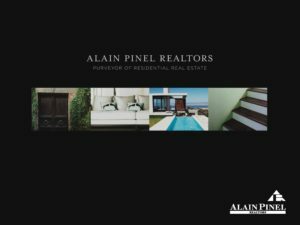 Click here to see why you want Alain Pinel Realtors powerful marketing strategy standing behind your listing! Alain Pinel Realtors (APR) closed sales volume in 2014 places them as the fifth largest residential real estate company in the United states for a fourth consecutive year, according to a notable recent research report produced by REAL Trends. Despite constrained inventory, APR had a record year with a closed sales volume of over $10.8 billion. 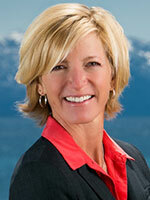 Of the top five brokers, APR had the highest average sales price ($1.3 million). Alain Pinel Realtors looks forward to continued growth in 2015-16, focusing on re-imagining the real estate customer experience both locally and globally. APR will do this with new technology tools, accelerated agent training, and innovative marketing opportunities while focusing on their customized personal connection to their clients.